Eight Shades Media > News > SEO Tampa > How to Choose a Web Design Agency in Tampa, Florida? With new web design companies appearing in Tampa, Florida every month, it begs the question how do you know which one to choose and is ultimately the right Tampa Web Design Agency for your needs. Below is a list of ten questions to ask web design agencies to help you in selecting the right web design company in Tampa. Here is a list of the ten vital questions to ask web design companies to choose the appropriate web design firm in Tampa. Question # 1: How Do You Quantify the Success of Your Websites? You will run into diverse answers to this question from every agency. Some may measure their achievements by how quick and swift they execute their projects. Others may refrain their celebration until a website starts to show results. Although there is no right or wrong answer this particular question, it simply offers you an idea of how the agency works. The appropriate response you should look for is the one that best suits what your company requires from the site. Question # 2: Do You Have any Experience in Our Company’s Industry? You must always enquire about an agency’s general experience. However, you must likewise ask about their level of involvement in your industry. The mere fact that an agency makes extraordinary websites does not mean they will get the same done for your company. If they just work with healthcare customers, they may not comprehend the necessities of a tool manufacturer. Basically, different businesses require distinctive techniques. Each industry is unique, and without the appropriate understanding or experience, your organization could wind up with a flashy website that gives little to the intended audience. Question # 3: What Are Your Basic Proficiencies? As important as having a better grip on understanding an agency’s industry experience, it is also significant to know the areas they excel in also. If your company is looking for a more conventional site, an agency that is knowledgeable in Flash and mobile may not be your best decision. Everything relies upon the goal of the website. Question # 4: Where Can I Get Samples of Your Former Work? You should always look into an agency’s past work. While they may amaze during meetings with decorative presentations, it is imperative to remember that it could all be lip service. While a few agencies change and customize templates, others have the capacity to create your site from the very beginning to meet what you need. You should request referrals with a specific end goal to comprehend the agency’s procedures better. Question # 5: How Do You Build and Handle Timelines? An important factor in your decision-making process is understanding how agencies handle their schedules and manage their projects. It is common for companies request for 50% upfront and 50% after delivery and others set milestones. Pick the firm that best suits your business financial plan and delivery requirements. In the meantime, you must be sure the agency has the abilities to deal with your needs from start to finish fittingly. Companies that extend themselves too thin tend to give room for mistakes. Look for a web design firm in Tampa that will help you build and handle your timelines proficiently and more efficiently. Question # 6: Who’s Going to Manage the Project? When talking with a web design agency in Tampa, there should be a balanced discussion. Few companies permit you to do all the talking, while at the same time offering little skill on their end to achieve your goals. While their attention may appear to be positive at the beginning, at the end, it may yield not the right outcomes. A proficient web design agency will keep a two-way discourse to help transform your ideas into a compelling website design. Question # 7: Are There Any Support Costs Related to Building a Site? There are an immeasurable number of supplementary costs that come with setting up a new website like domains, servers, and emails. Will the web design agency put them into your estimation or would they say they are extra services that you have to pay for independently? A good web design agency will inform you of these costs upfront. Question # 8: What Other Digital Channels Are You Skilled in? One way to know the depth of a web design agency in Tampa is to ask what other skills they have besides designing and building websites. Is this company capable of making web videos? How about handling social media accounts? In case you are building a site with particular components, the agency may have the capacity to offer assistance. A balanced firm can help in various ways. They can likewise provide dependable third party merchants to help with the components they cannot deal with. The appropriate web design agency can precisely deliver what you require, without extending their abilities too thin. Question # 9: Does the Agency Support Their Products? A well-rounded and well-versed agency in Tampa will be able to support their existing product offerings. You need to look for a Tampa web design agency that will be there to help you if you have issues with technical and bug issues. While a few agencies bill you more for this once your site is live, the appropriate agency will stay accessible if the need arises for quite a long time or even months after launch. This is key in understanding if the agency is looking for a long-term relationship or short term one. Question # 10: Will Your Agency be Able to Help Me Market Our Site? Once your site is set, can the Tampa agency help you with SEO rankings, banner advertisements and different types of marketing? While an agency that focuses on marketing is valuable in the long-run, you should also ask if the agency does SEO. If an agency offers SEO, it will help you and your site in Google by driving traffic. Even though there are many questions you need to ask a potential Tampa website design agency in, these are probably the most vital. As stated earlier, each relationship is distinctive and reliant on your organization’s wants and needs falling in accordance with the agency’s capacities and experience. 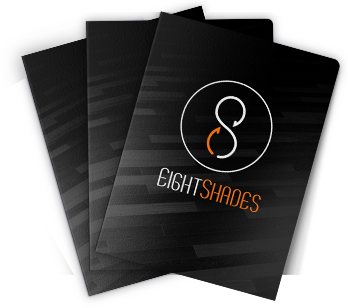 We are Eight Shades Media, and our web design agency is located in Tampa. We work with all organizations of all sizes and ventures. Regardless of whether you have a huge budget plan or little budget, we treat every customer the same. We value being on time and building long-term relationships with our clients. Connect with us and we will be glad to talk to you about your needs.